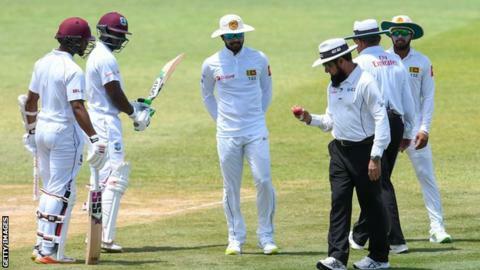 Sri Lanka captain Dinesh Chandimal has pleaded not guilty after being charged with ball tampering by the International Cricket Council (ICC) during a series in the West Indies. Chandimal will face a hearing after the second Test in St Lucia, which is scheduled to end on Monday. In protest, Sri Lanka then took to the field two hours late on the third day. The tourists eventually decided to play following lengthy discussions between match referee Javagal Srinath and Sri Lanka’s coaching staff. Sri Lanka were told play could not continue with the existing ball. In the end, the West Indies were awarded five penalty runs and the tourists eventually agreed to take to the pitch with the ball being changed. Chandimal was “charged for breaching Level 2.2.9 of the ICC Code of Conduct” which relates to “changing the condition of the ball”. Hey Pamela Anderson, What’s Under That Overcoat?